Old man strength’ is real. It is usually acquired by men and women around the age of 40. If you are above the age of 40 and reasonably healthy, you will get it. It can be used to do hard physical labor, or to prove to the younger crowd that you are not as old as they think you are. It is usually lost around the ages of 65-70 depending on your health. Who better represents Old man Jiu-Jitsu than Helvecio Penna, the De La Riva black belt with a unique story. He is 58 years old and still competes in the adult division against some of the best black belts in the world. What else? He also works full time and helps the kids in the slums of Rio. Life can’t be more meaningful than that. 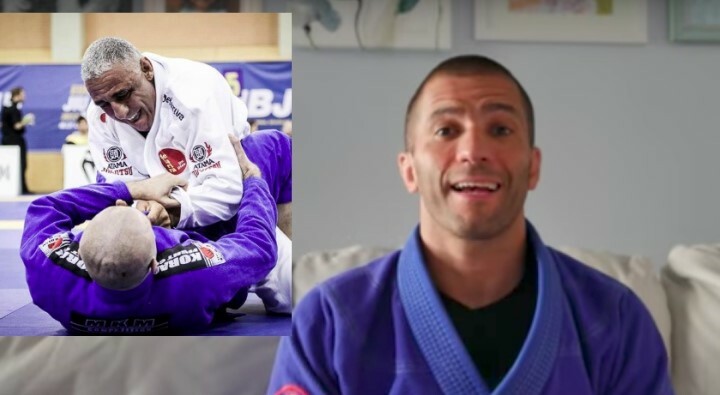 Fabricio Werdum black belt Gustavo Gasperin explains why the BJJ trend “old man Jiu-Jitsu” makes no sense, and it can actually be detrimental to your health and quality of life as you age.